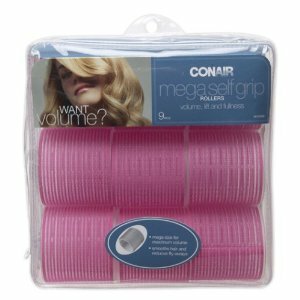 Conair Mega Self Holding Rollers come in a set of 9, which are all 2.8 x 9 x 8 inches. This size should create a goddess like full soft loose curl. These rollers are self holding, therefor should stay put without the use of pins or clips. This will make for quick and easy application, if they work anyway. The rollers have been devised to suit any hair type, be it thick, fine or smooth. Conair say, they work in wet or dry hair are fast setting, drying and are lightweight and comfortable to wear. A few years ago when I thought of rollers I would think of older ladies, but now it is so on trend and I really want some! A little disappointing that nearly every users said they still had to use pins to hold them in. Fortunately that didn't seem to bother them, as the rollers accomplished big loose curls. At $16.28 for the set it is a reasonable price for a set of 9 rollers. Could be worth a try for those of you that like to create big curls with little effort. You are currently browsing the archives for the Rollers category.